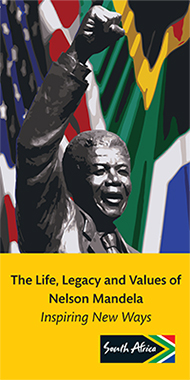 The South African Embassy in partnership with The Embassy Guild will host the 2018 U.S. Midterm Election Briefing on Wednesday, September 19, 2018. The Democratic Election Expert, Mr Adam Weiss; Republican Election Expert, Mr Matt Hoekstra; as well as Foreign Policy Expert, Mr Ken Guide will share their thoughts on the forthcoming U.S. Mid-term elections; possible outcome scenarios and the envisaged impact on the political land scape in the U.S. The discussions will look into how the Mid-term elections outcomes could shape the US political landscape and possible impact for the 2020 US Presidential elections. There are no parking facilities for the public at the Embassy, although street parking spaces sometime can be found nearby. However, If you plan to visit the Embassy for consular services, please plan to arrive by public transportation or drop-off. Please consider making a donation to the Nelson Mandela Children’s Hospital? If you are in the US, please click here to make your tax-deductible gift. The South African Embassy in Washington DC will no longer accept $16.00 fee but prepaid envelope from FedEx and USPS with tracking number with immediate effect to facilitate return services. There is currently no position available. The Embassy of South Africa cannot arrange tours of the White House for South African citizens. The US Department of State has advised us that, at present access for foreign citizens to White House tours as part of an Embassy-sponsored public tour group, is on hold. We are therefore unable to process any requests at this time. We will post an update to the website immediately if conditions change.